Government - Lava Computers MFG Inc.
LAVA's Tablet kiosk solution provides a customer experience boost for government services. 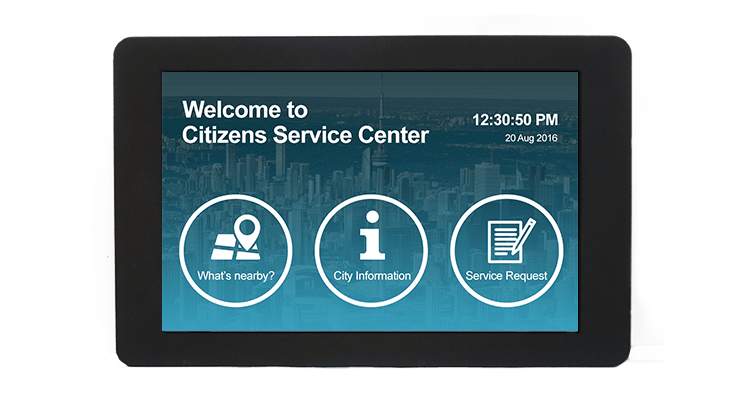 The growing need for optimization of government services to better serve their citizens makes cost-cutting tablet kiosks, a fitting solution. LAVA USB LAN/PoE/ Simulcharge Adapters, together with solution integrators such as Dominion Voting or GTL(correction facilities) simplify small or large deployment of tablet kiosks and make them accessible to everyone.